It's impossible to do justice to a career as diverse and so creative in so few words. This focuses on Macca's work with Wings, his post Beatles break up band of a revolving cast of musicians with Paul and Linda at its heart. During their lifespan, which was longer than that of The Beatles, Wings had 12 Top 10 singles in the UK and 14 Top 10 US singles. Their British No.1 albums included, Band On The Run, Venus And Mars and McCartney II. Paul McCartney's post Wings work has included the No.1 albums, Tug of War, Give My Regards To Broad Street and Flowers In The Dirt. hen The Beatles finally called it a day in April 1970 the last thing that most people expected was for Paul McCartney to form another band so soon and embark on a rigorous and lengthy schedule of touring. He'd seemed set on pursuing a solo career on his own terms; his first solo album, McCartney, was recorded during the last days of The Beatles and was released in the same month that their break-up was officially announced. In an age when excess in music was becoming more prevalent McCartney, with its pared down basic arrangements and almost demo-ish feel, was savaged by the press, which made no odds really because it was a No. 2 UK album and hit No. 1 in the US chart. 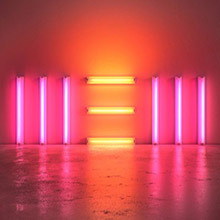 It's an album that has improved with age and in retrospect can be seen as a strong statement of intent from McCartney about the sort of songs he wanted to write in future and the way he wanted to present them. His enduring appeal was further emphasised the following February when the non-album single, 'Another Day', was a No. 2 hit. Now co-billed with his wife Linda, he made Ram, which was released in May 1971 and reversed the chart positions - it was a No.1 album in the UK and No. 2 in the US. A remarkable achievement by anyone's standards as neither album contained a hit single. Sensibly ignoring 'critical' indifference and obviously revitalised by the opportunity of making music on his own terms again, and the popularity of his new material, he decided to take his music out on the road and, in August 1971, formed his band Wings in order to do so. Consisting of himself on bass and vocals, Linda on keyboards and vocals, ex-Moody Blues guitarist Denny Laine and ex-session drummer Denny Seiwell, they first made an album, Wildlife, released in December 1971, which the press had a field day with but which nevertheless reached No. 8 in the UK album chart and No. 10 in the US. With the addition of guitarist Henry McCullough from Joe Cocker's Grease Band they took to the road for the first time and played a low-key UK college tour in order to get the band into shape. Controversy then surprisingly ensued when in February 1972 Wings' first single, 'Give Ireland Back To The Irish', was banned from the radio. Written as a response to the events of Bloody Sunday the month before it was perhaps a naive gesture but it inflamed a section of public opinion on the mainland enough to dent its success. It was, not surprisingly, a No. 1 hit in Ireland. And then a few months later McCartney rekindled the fuss by releasing what amounted to a children's single, 'Mary Had A Little Lamb', which many people interpreted as retaliation for the censorship he'd been a victim of. None of this predictably had a long-term effect on Wings' assured popularity. Two Top 10 singles followed 'C'Mon' and 'My Love', the latter taken from their second album, Red Rose Speedway, a No. 5 UK album. May and June 1973 saw them undertake a very successful UK tour and release another Top 10 single - the title song for the new James Bond film Live And Let Die - a recording that reunited McCartney and George Martin. The following month rehearsals began for the band's next album, which received a setback just before recording started when both Denny Seiwell and Henry McCullough left the band. Reduced to a trio they flew to Nigeria to record Band On The Run at EMI's studio there in Lagos. Conditions were a little less sophisticated than they were used to, and the country was in political turmoil, so it wasn't an easy, comfortable ride, but Band On The Run, against all the odds, turned out to be both a critical and commercial triumph. In October 1973 'Helen Wheels', again a non-album single originally, was a No. 12 UK hit and then in December the Band On The Run album came out, soared to No. 1 in both UK and US album charts, went triple platinum, yielded two Top 10 singles the following year 'Jet' and the title track, and became the best-selling UK album of 1974. The album is a pop masterpiece to this day and as thorough a vindication to his critics as was possible. Even ever-discerning ex-songwriting partner John Lennon told Rolling Stone it was "a great album â€¦ you can call them Wings but it's Paul McCartney music. And it's great stuff." It sold over six million copies during its period in both the UK and US charts, appeared regularly in lists of 'Greatest Albums of All Time' and was the last record McCartney made for Apple (the label). The striking cover was also a talking point, featuring the band plus six very assorted celebrities of the day - Michael Parkinson, Kenny Lynch, James Coburn, Clement Freud, Christopher Lee and John Conteh - posing as convicts caught in the spotlight whilst attempting escape. A 1999 25th Anniversary CD reissue of Band On The Run included a bonus disc of live material plus 'Helen Wheels'. It remains Wings' crowning glory and album to rank with the very best. In May 1974 the trio line-up was expanded again with the addition of Jimmy McCulloch (ex-Thunderclap Newman and Stone The Crows) on guitar and Geoff Britton on drums. Britton only played on the subsequent 'Junior's Farm' single before being replaced by Joe English in time for the recording of the next album, Venus And Mars, in November in the States. Preceded by yet another Top 10 UK single 'Listen To What The Man Said' Venus And Mars suffered critically in comparison to Band On The Run but it was still indisputably a huge success - a No. 1 album in both the UK and US. And the touring continued relentlessly. The Wings Over The World tour, starting in the autumn of 1975, took in a staggering 10 countries in 13 months as the band swept through the UK, Australia, the US and twice around Europe before ending in a four-night stand at Wembley's then Empire Pool. Almost as relentless was the continuing stream of chart albums and singles. In April 1976 the Wings At The Speed Of Sound album was released and 'Silly Love Songs' and 'Let 'Em In' (both UK No. 2s) extended the run of hit singles. A mammoth triple live album, Wings Over America, served to reinforce the growing view that Wings were a proper band as opposed to just McCartney's backing group and was a No. 1 album in the US and reached No. 8 in the UK. The hit machine that Wings had become rolled on. In May 1978 'With A Little Luck' was a No. 1 single in the US and a No. 5 here and the less strident and pop-orientated London Town album nevertheless charted in the Top 10. A Wings Greatest compilation at the end of 1978 marked time while McCartney worked on a solo album, McCartney II, a sign perhaps that Wings were due to land for good before too long. When a new single was released it was the disco-flavoured, Chris Thomas-produced 'Goodnight Tonight' and aroused sufficient interest to chart at No. 5 on both sides of the Atlantic. It was their last hit single though and the June 1979 album, Back To The Egg, confirmed for many that Wings had run its course creatively if not commercially. It still racked up a decent No. 6 UK chart placing but the press were almost unanimously dismissive. There were still touring commitments to be met however, and with a brass section they toured the UK and were about to tour Japan when McCartney was arrested in Tokyo for possession of marijuana and sent back to the UK whereupon he released McCartney II and cancelled a proposed Wings tour of the US. And apart from some recording sessions for the still-unreleased Cold Cuts album of Wings' outtakes, that was about it for the band called Wings.Life on the road eventually took its toll on McCullough and English though and they both departed at the end of the globetrotting tour leaving the band a trio once again. After a live version of 'Maybe I'm Amazed' only grazed the UK Top 30 the band took a well-earned break before re-emerging with perhaps their most contentious single, the love-it-or-hate-it 'Mull Of Kintyre'. Thankfully for McCartney and friends enough people loved it to keep it at the top of the UK singles chart for nine weeks and to make it the biggest-selling, non-charity, UK single ever until 1997 when Elton John's 'Candle In The Wind', re-released at the time of Princess Diana's funeral, superseded it. 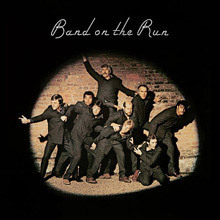 Band on the Run is an album by Paul McCartney & Wings, released in 1973. It was Wings' third album. It became Wings' most successful album and remains the most celebrated of McCartney's post-Beatles albums. 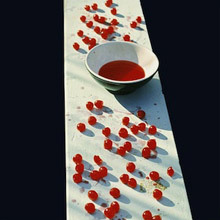 It was 1974's top-selling studio album in the United Kingdom and Australia, and revitalised McCartney's critical standing. 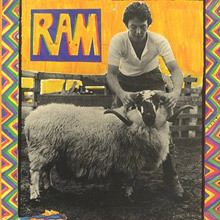 Ram is Paul McCartney’s second solo album, officially credited to Paul and Linda McCartney, and was released in 1971. The only time one of McCartney’s efforts received a co-credit with his wife. McCartney is the first solo album by English musician Paul McCartney. It was issued on Apple Records in April 1970 after McCartney had resisted attempts by his fellow Beatles to have the release delayed to allow for Apple's previously scheduled titles, notably the band's Let It Be album. McCartney recorded his eponymous solo album during a period of depression and confusion, following John Lennon's private announcement in September 1969 that he was leaving the Beatles, and the conflict over its release further estranged McCartney from his bandmates. A press release in the form of a self-interview, supplied with UK promotional copies of McCartney, led to the announcement of the group's break-up on 10 April 1970. Apart from then-wife Linda's vocal contributions, McCartney performed the entire album by himself, playing every instrument. Featuring loosely arranged (and in some cases, unfinished) home recordings, McCartney explored the back-to-basics style that had been the original concept for the Let It Be project in 1969. Perhaps as a result of McCartney's role in officially ending the Beatles' career, the album received an unfavourable response from the majority of music critics, although the song "Maybe I'm Amazed" was consistently singled out for praise. Commercially, McCartney benefited from the publicity surrounding the break-up; it held the number 1 position for three weeks on the US Billboard 200 chart and peaked at number 2 in Britain. The album was reissued in June 2011 as part of the Paul McCartney Archive Collection. Flaming Pie is the tenth studio album by Paul McCartney, first released in 1997. His first studio album in over four years, it was mostly recorded following McCartney's involvement in the highly successful Beatles Anthology project. The album was recorded in several locations over two years, 1995 and 1997, featuring two songs dating from 1992. The album featured several of McCartney's family members and friends, most notable McCartney"s son, James McCartney who was featured on the track Young Boy. 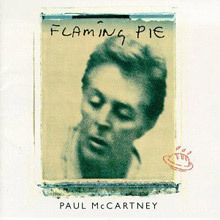 In Flaming Pie's liner notes, McCartney said: "[The Beatles Anthology] reminded me of The Beatles' standards and the standards that we reached with the songs. So in a way it was a refresher course that set the framework for this album." Flaming Pie peaked at number 2 in both the UK and US, and was certified gold. The album, which was well received by critics, also reached the top 20 in many other countries. From its release up to mid-2007, the album sold over 1.5 million copies. 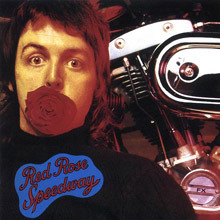 Red Rose Speedway is the second album by Wings, and was credited to "Paul McCartney and Wings". The album was released in 1973 after the relatively weak commercial performance of the band's debut Wild Life, which had been credited only to the then-unknown Wings. The album reached number 1 on the Billboard 200. Reuniting with producer George Martin was a bit of a masterstroke on the part of Paul McCartney, since it guaranteed that Tug of War would receive a large, attentive audience. 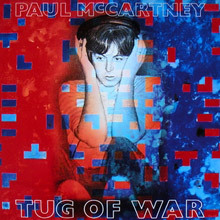 Martin does help McCartney focus, but it's hard to give all the credit to Tug of War, since McCartney was showing signs of creative rebirth on McCartney II, a homemade collection of synth-based tunes. This lush, ambitious, sprawling album couldn't be further from that record. That was deliberately experimental and intimate, while this is nothing less than a grand gesture, playing as McCartney's attempt to summarize everything he can do on one record. There's majestic balladry, folky guitars, unabashed whimsy, unashamed sentimentality, clever jokes, silliness, hints of reggae, a rockabilly duet with Carl Perkins, two collaborations with Stevie Wonder, and, of course, lots of great tunes. If anything, McCartney's trying a bit too hard here, and there are times that the music sags with its own ambition (or slightly dated production, as on the smash single "Ebony and Ivory"). But, at its best -- the surging title track, the giddy "Take It Away," the vaudevillian stomp "Ballroom Dancing," the Lennon tribute "Here Today," the wonderful "Wanderlust" -- it's as good as McCartney gets. 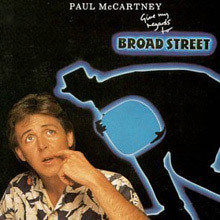 Give My Regards to Broad Street is the soundtrack album to the 1984 film of the same name. Unlike the film, the album was successful, achieving number 1 in the UK chart and its lead single "No More Lonely Nights" was BAFTA and Golden Globe Award nominated. 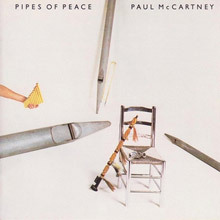 Pipes of Peace is the fifth solo studio album by Paul McCartney, released in 1983. As the follow-up to the popular Tug of War, Pipes of Peace was nearly as successful and the source of more big hits for McCartney. New is an album by Paul McCartney, released on 14 October 2013 in the United Kingdom and in the United States on 15 October 2013. It is his sixteenth studio album and his first since 2007's Memory Almost Full to consist entirely of new compositions. The album was executive produced by Giles Martin with production by Martin, Mark Ronson, Ethan Johns and Paul Epworth. McCartney has stated that the record was inspired by recent events in his life as well as memories of his pre-Beatles history. He added that some of the arrangements are unlike his usual rock recordings, and that he specifically sought out younger producers to record the album. He and his stage band performed in various venues to promote the record, along with promotional events held through social media. 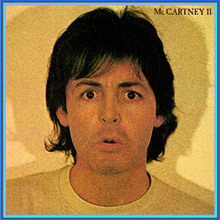 McCartney II is the second solo studio album by Paul McCartney, and the first since the formation of Wings in 1971. It was released in 1980, a year before the band's dissolution and while their future lay in limbo. The album is a significant departure for McCartney, as much of it relies heavily on synthesisers and studio experimentation. It was reissued on 13 June 2011 as part of the Paul McCartney Archive Collection.